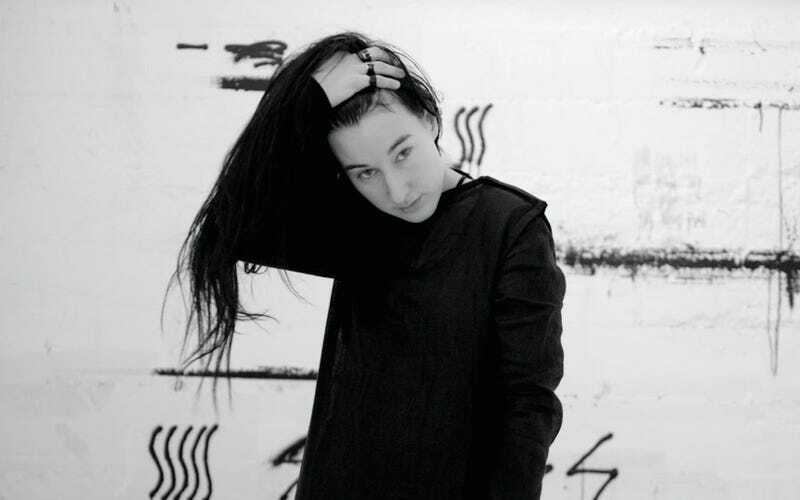 Around the time of her last album, 2014’s Taiga, Zola Jesus told Billboard she dreamed of having a No. 1 hit. A couple things might be holding her back. First, there’s her voice—that gale-force, mascara-black blast of operatically trained magnificence that overpowers industrial beats and string quartets alike. Then there’s the sheer intensity of her songs, which use stark, enigmatic poetry to trigger feelings of pain, sorrow, fear, and—sometimes—love and comfort. Even on the poppiest parts of Taiga, she’s Katy Perry as possessed by Siouxsie Sioux. And even there, some fans felt she’d already pushed it too far. 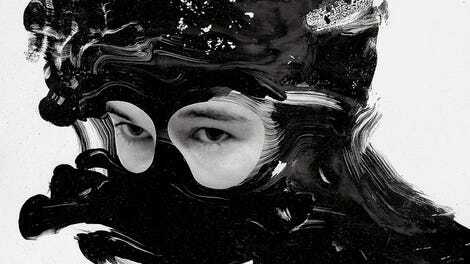 Zola’s latest, Okovi, is more homecoming than course correction. The album marks a return to Sacred Bones after releasing Taiga on Mute, and she’s singing songs she wrote after returning to her native Wisconsin, then building a house in the woods near her childhood tree fort. Fittingly, on opener “Doma,” she whispers “Take me home” over a gentle synth hum. So begins an album that’s less rhythmic, more intimate, and more unfiltered Zola than its predecessor. Groaning strings replace drums on “Ash To Bone,” while lighter cellos float through “Witness,” helping Zola comfort a friend who’s attempted suicide. Zola again plays lighthouse for that person on “Siphon,” emboldened by a booming beat and soulful hook. Themes of mortality carry over to the haunted house jam “Veka,” as Zola considers how words survive us when we’re gone. Long after Zola has made her last record, she won’t be known for her many chart-topping hits. But she will be remembered for songs like “Wiseblood,” where she advocates doing things that make us “stronger” and “wiser” and force us to “live a little bit.” A pop star like Perry or P!nk would make it a righteous treadmill anthem. Zola just stops you in your tracks. Purchasing Okovi via Amazon helps support The A.V. Club. Kenneth Partridge is a freelance writer based in Brooklyn. He’s covered music and popular culture for the likes of the AV Club, Wondering Sound, Billboard, Consequence of Sound, Flavorwire, Refinery29, Noisey, the Village Voice, and M Music & Musicians magazine, where he serves as reviews editor. Got six hours to kill? Ask him about the Clash.